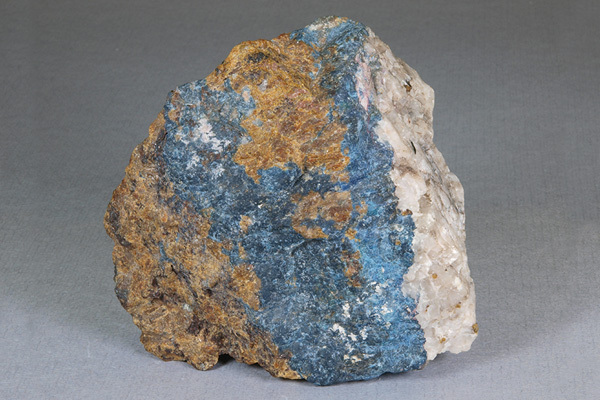 The Franklin Mineral Museum (FMM) is responsible for publishing an annual list of mineral species known to occur in the Franklin Mining District. 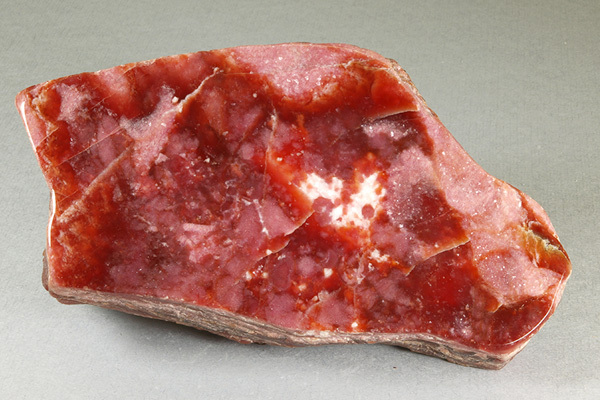 This list has traditionally appeared every fall in the show booklet for the Franklin Gem and Mineral Show, an event sponsored by the FMM and now in its sixth decade, and is also published on occasion in The Picking Table. A museum-appointed Species List Committee prepares this list in consultation with various subject-matter experts. Members of the current committee are Richard Bostwick, Dr. Steven Kuitems, Lee Lowell, Tony Nikischer, and Dr. Earl Verbeek. Vandall King provided extensive technical assistance and advice regarding the current list in preparation for a soon-to-appear book on the local minerals. The Species List Committee holds to strict standards of identification. Before the advent of this committee and involvement of the Franklin Mineral Museum, some previous lists were flawed by incorrect sight identifications (often of minerals that were not inherently sight-identifiable), insufficient data to uphold a claimed identification, or claims of positive identifications based on unknown or unrevealed sources. In addition, problems of fabricated species identifications occurred on occasion, especially when such claims would result in financial gains through increased mineral sales. To hold such problems to a minimum, it is the policy of the Committee to accept only well verified species to its lists. To validate a claim of a mineral new to the area, the Committee requests copies of the original data and specification of the analytical methods used. 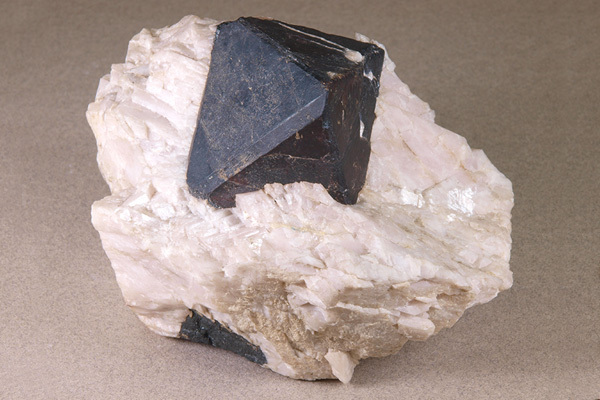 The discoverer is further requested to submit a descriptive article on the new mineral to The Picking Table, the journal of the Franklin-Ogdensburg Mineralogical Society, for the benefit of the society’s members. bold type = mineral unique to the Franklin-Ogdensburg area. Superscript numbers refer to footnotes at end of list. 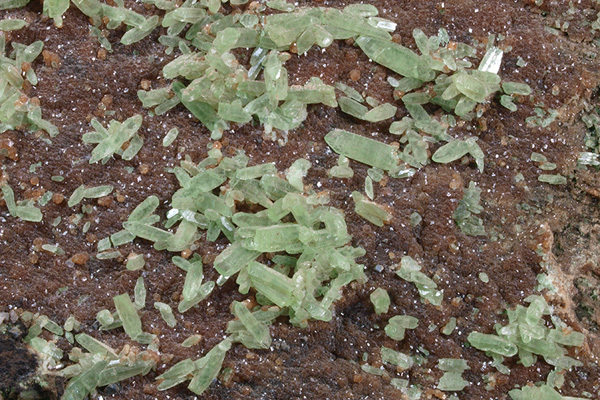 1 Chemical analyses of a brittle mica from Sterling Hill show that it corresponds to the unnamed chlorine analogue of anandite. 2 Anorthoclase is no longer recognized as a separate species, but as an alkali feldspar intermediate between low sanidine and high albite. Albite is on the Franklin-Sterling Hill species list; sanidine is not. To which species existing specimens labeled “anorthoclase” belong is uncertain, pending further study. For that reason we do not yet include anorthoclase in the total species count. 3 Reported in Dunn (1995), with analysis, but the identification has not been corroborated by the cited authority. 4 Provenance uncertain. Added by Struwe (1957), but analyzed specimen is possibly from Amity, NY area rather than Franklin. 5 Possibly fluoro-edenite; further analyses needed to establish F:OH ratios. 6 Originally described as zinalsite; nomenclature changed by IMA. 7 Reported from Sterling Hill, but without supporting data. Further study needed. 8 Nomenclature revision pending with the IMA. 9 Originally described as villyaellenite from Sterling Hill in 1995, but subsequently redefined in 2009 as miguelromeroite. 10 Material from Franklin appears to be a nickel-dominant smectite clay, and thus properly labeled pimelite rather than willemseite, a nickel-dominant talc mineral. Further study needed. 11 Possibly phosphohedyphane or a related species; more detailed analysis required. 12 Roméite is no longer a species name but refers to a series of minerals intermediate between oxyplumboroméite and fluorcalcioroméite. Partial chemical analyses published in Dunn (1995, p. 604) suggest that the member present in the local area is either fluorcalcioroméite or, more likely, the as-yet-unnamed hydroxyl analogue of that species.